WHY: Wang Chaoge was the co-director of the opening ceremony at the 2008 Olympic Games in Beijing. 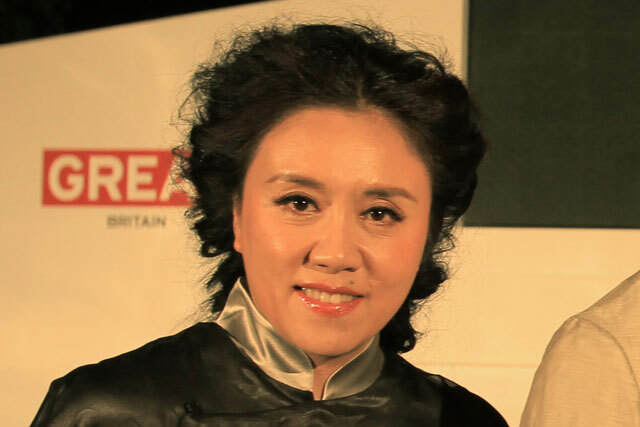 More recently, she directed a fashion show for Eve Fashion Group that was created and produced by the brand experience agency Innovision for China Day at the British Business Embassy at Lancaster House in London. HOW: She says: "The biggest challenges of the Eve de Cina show were the location, the timings and the weather. Lancaster House has impeccably high standards and we had to work very closely with Innovision to direct, create and produce the show within unprecedented restrictions and an incredibly tight timeframe. The unremitting rain also gave us some directing dilemmas. We eventually planned two separate shows: one to work inside and one to work outside, and shipped in hundreds of Chinese paper umbrellas - just in case. The show also involved bringing Chinese elements, soil, seeds and water to Britain, but it was a challenge to get some of these through customs." Even as a child, I wanted to change things and do things differently. If a room in my house stayed the same for more than a few days, I wanted to change it. I have always had a vivid imagination. I think the combination of imagination and innovation is the perfect foundation for directing. Choice. China has 5,000 years of history and culture - so which parts should we choose? China counts 56 ethnic groups in its midst, so it was a challenge to select which ones would represent China. China has also pioneered millions of inventions, so we had to decide which of those to focus on too. We were constantly making new choices and changing our minds. Even at the last minute. What I do. I love my job and I feel I was destined to direct. My parents have also been an incredible inspiration for me, allowing my imagination to run wild as a child and encouraging me to follow my dream.